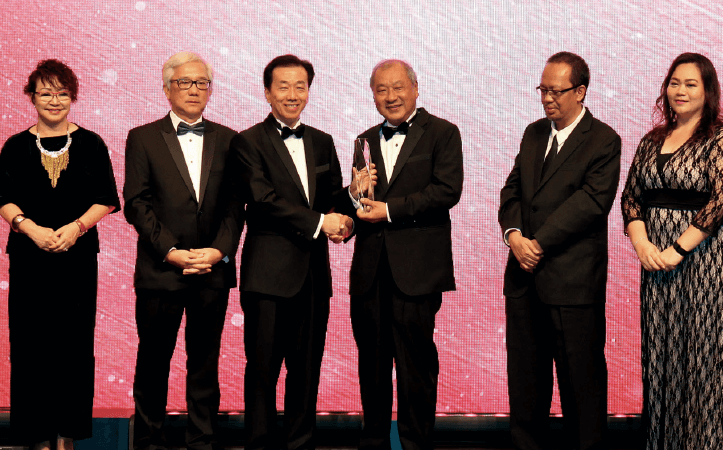 When the going gets tough, the tough get going.” This could be the motto of Matrix Concepts Holdings Bhd group managing director Datuk Lee Tian Hock, one of the two recipients of The Edge Malaysia Outstanding Property Entrepreneur Award 2017. “Life can never be plain sailing, and it’s the same for the business world,” he tells City & Country. Having weathered three recessions thus far, the kampung boy from Bukit Pelanduk, Negeri Sembilan, has emerged stronger and wiser. He recounts his economic hardships in 1985/86 when he was still in the job market, followed by the Asian and global financial crises in 1997/98 and 2008/09 respectively after he had become an entrepreneur. “Facing three economic crises was really a tough one, I must say. But on the other side of the coin, there are always opportunities in a crisis. Capitalise on them by reading the market well and doing the right things, such as forming strategic partnerships,” he says, referring to his 34 years of experience in the industry with technical know-how in construction and development and riding out economic storms through operational efficiency. Interestingly, it was in 1997 that Matrix Concepts, which was established in 1996, launched its maiden project, Taman Bahau, in Bahau, Negeri Sembilan. The 595 medium to low-cost 1-storey residences were sold out within a year despite the financial turmoil in the region. “That was a major breakthrough,” recalls Lee, having tasted sweet success and built a reputation for himself in the lucrative property sector. He and his company gained more prominence following two flagship joint-venture endeavours signed in 2005 — Bandar Sri Sendayan in Seremban with Menteri Besar Inc of Negeri Sembilan and Bandar Seri Impian in Kluang with Koperasi Kemajuan Tanah Negeri Johor Bhd. Matrix Concepts marked an important milestone in its history in May 2013 when it was listed on the Main Board of Bursa Malaysia. “Hitting the gong on the listing day was certainly one of my proudest moments. It was like a dream come true for a target I had set in my younger days. It was a big recognition,” Lee says, whose company also entered the hall of fame of The Edge Billion Ringgit Club the following year. Looking back, the 59-year-old industry veteran certainly had his fair share of highs and lows in life. 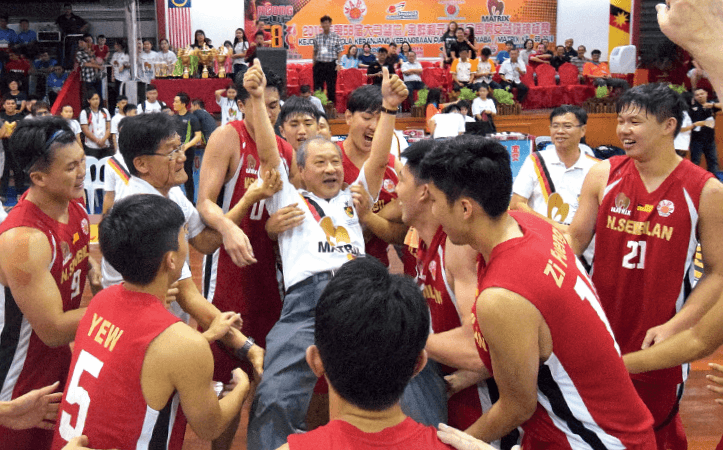 Born into a poor family, Lee’s secondary education was disrupted when he had to switch from Chung Hua Port Dickson to a government school because his family could not afford the tuition fees barely five months after he had joined the Chinese independent school. 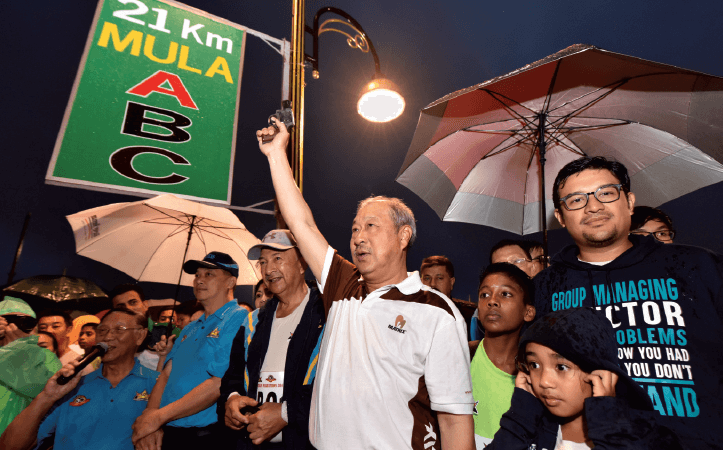 He fought his way up and subsequently earned his bachelor’s degree in Housing, Building and Planning, majoring in Building Economics as a quantity surveyor, from Universiti Sains Malaysia in 1983. Lee started work as a project executive with a developer in Johor right after graduation. He then rose through the ranks at different companies as assistant project manager, project manager, construction manager, general manager and managing director before founding Matrix Concepts. Throughout his journey from his humble beginnings to leading a company with a market capitalisation of RM1.6 billion and more than 600 employees, one thing has been dear to Lee — developing people through education. Lee is a philanthropist who champions various charitable causes. In 2014, he donated five million Matrix Concepts shares worth about RM15 million to the foundation of Chung Hua Port Dickson, which benefits from the dividends and bonus shares. The funds are utilised for improving the teachers’ welfare through yearly bonuses and helping needy students complete their studies overseas. “If you achieve what you want in life, that is a success. If you are better than what you were 10 years ago, you are successful too,” says Lee, sharing his philosophy of life. He has a pragmatic recipe for success — have a good grasp of the ins and outs of a business, take one step at a time and work hard. “You must know your business and do what you know best,” he advises, which should strike a chord with young people aspiring to become entrepreneurs. “Make sure you plan carefully from the beginning and set your targets accordingly along the way. Never rush into action because you have the capital or based on hearsay, particularly if you have limited resources. If you don’t know your business, you create inefficiencies, which cost money unnecessarily. In order to know your business best, you have to be hands-on. “Why is it that, given the same products, some people can make profits from selling them cheaply while others cannot? The answer lies in hands-on knowledge. In our case, we manage quality and cost ourselves through our subsidiaries for added efficiency and competitiveness. Effective cost management is key to profitability because it affects cash flow. Lee believes that adopting a below-the-market-price strategy may not be a bad idea, after all. “Because we construct and manage it ourselves, we have better control over our costs and many other things. Therefore, our products are always 10% to 20% cheaper, so that we can sell them faster,” he says. 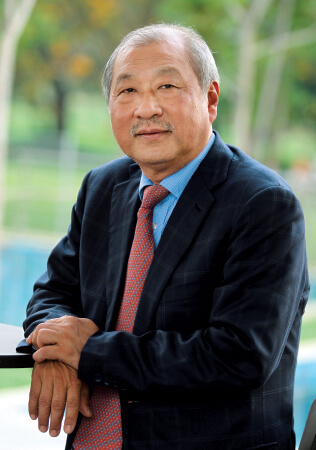 Even though Matrix Concepts is making its way into the Klang Valley through land acquisitions in Kuala Lumpur and Puchong in 2013 and 2015 respectively, Negeri Sembilan, where it all started, will always be close to Lee’s heart. “Most of my career footprints are found in Negeri Sembilan. My network is here. So, naturally, I started off here. My advantage comes from being from Negeri Sembilan, from being familiar with the locality and knowing how to get things done here,” he explains. Developing a township is a lengthy process, especially getting the approval of the authorities. Thus, a strong business network will come in handy. “If you are not hands-on and depend on other people to get things done, it will slow your progress. Anything that drags your project will cost you money. Some people cannot even start any development after three years of acquiring land. But with our contacts in Negeri Sembilan, we can take off in a much shorter time. This makes a lot of difference because time is money,” Lee adds. To him, it is simple to be a caring boss — look after the staff and they will take care of the rest. “Employees are the most valuable asset of a company. For them to fully commit to their work, I always take the initiative to take care of their welfare in the first place. We provide good packages and pay bonuses to our staff in appreciation of their hard work. We reward them with trips to the US, Japan, Korea and Thailand as well. Our loyal staff always give their best to the company,” Lee says, hinting at a low staff turnover at his company. When asked what he looks for in his employees, he replies, “I want my staff to know their job and be willing to learn. I prefer my staff to come up with suggestions or solutions whenever they face problems.” He, nevertheless, notes that being able to withstand pressure is equally important. He is tackling succession planning in a systematic and open manner, preparing his eldest son for big roles in the company. “He still has to learn from the basic level and go through the mill. At the same time, I want him to understand the meaning of being employed so that in the future, he will feel for the staff,” Lee asserts, without revealing his son’s current position in the company. “However, that doesn’t mean I will pass the baton only to my children. Every company must have a succession roadmap that allows it to run by itself regardless of who the successor is. A lot of companies fail because of nepotism. I don’t want this to happen to my company,” he says. Nevertheless, his other children may be brought into the company if they are capable. Lee remains unperturbed by the current soft market. 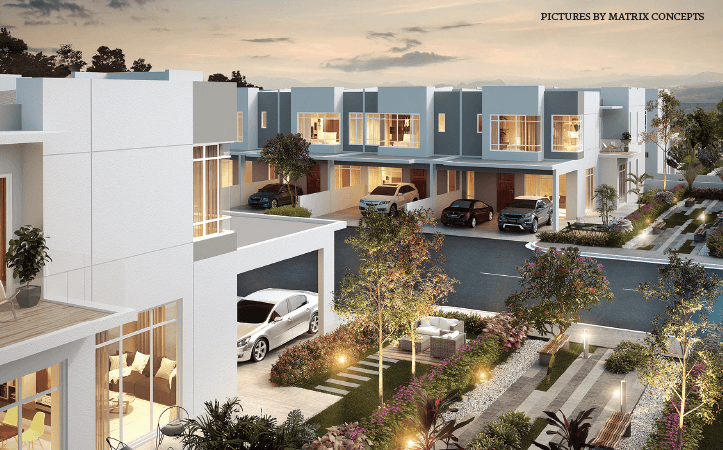 He believes that selling affordable homes below the RM400,000 price point will steer the company forward steadily. The 5,233-acre Bandar Sri Sendayan with a GDV of RM14.5 billion will remain the company’s focus for the time being. “The 117-acre Icon Park town centre alone may take up to 20 years to complete,” Lee says. Matrix Concepts has, thus far, delivered almost 30,000 properties worth about RM7.5 billion. Being the leader of a listed company, Lee assumes full responsibility for both its employees and shareholders. “I have to create more value for all the stakeholders, especially our shareholders. When Matrix Concepts went public in 2013, our market cap was RM600 million. Today, we have achieved tier 2 status with RM1.6 billion. We are aiming for tier 1 with a market cap of more than RM3 billion in the next five years,” he says confidently.